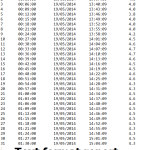 This is the programming chart for the single use disposable data logger. If you provide these details while ordering, we will program the data loggers and will be supplied in sealed individual water resistant pouches. You can simply press the start button to commence recording. 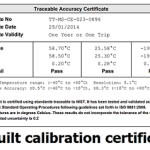 The programming details include sampling interval, alert levels, name of the company etc. 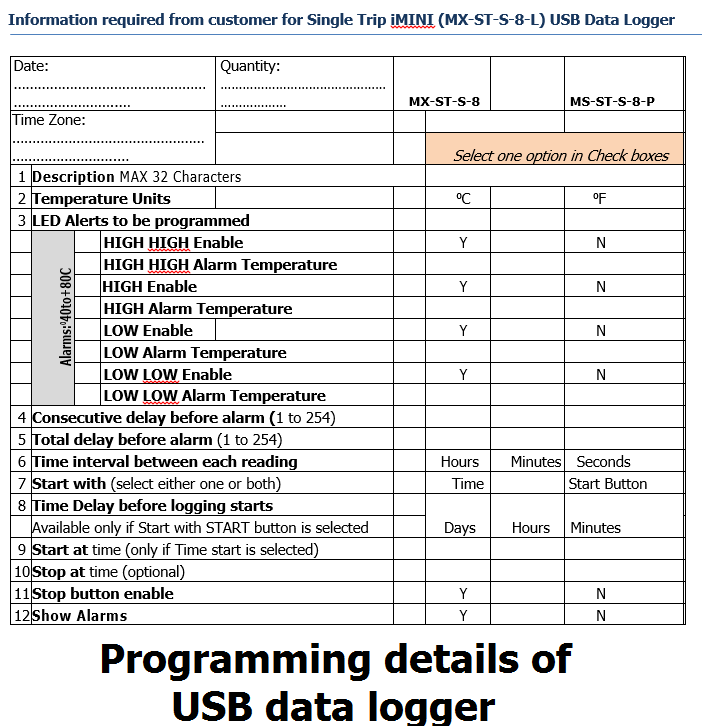 Please see our main article on programming of single use data logger. Vacker Group supplies all types of single use USB data loggers in United Arab Emirates, Qatar, Kuwait, Kingdom of Saudi Arabia, Bahrain, Jordan, Iraq and Oman. Also VackerAfrica supplies these single use USB data loggers in African countries covering Nigeria, Djibouti, Tanzania, Kenya, Cameroon, Ethiopia, Sudan etc.